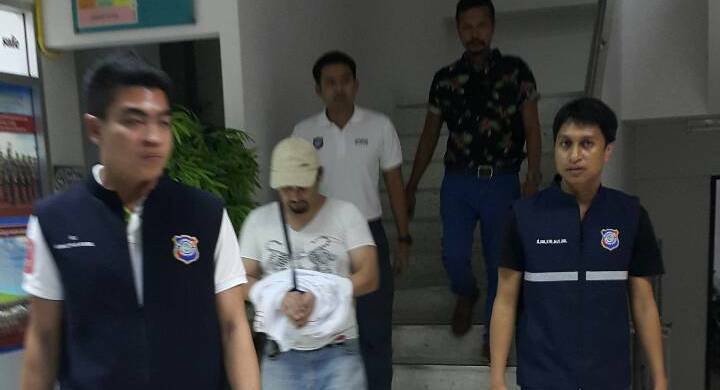 PHUKET: Police in Phuket have arrested Uzbekistan national Sirojiddin Bakhodirov who acted as translator for Adem Karadeg, the prime suspect in the Erawan Shrine bombing in Bangkok in August last year. Bakhodirov, 39, was wanted on an arrest warrant No 231/2559 issued by the International Criminal Court of Southern Bangkok on June 17, explained Lt Nuruwat Puttivero of the Phuket Tourist Police, who led the arrest. The warrant was issued after Bakhodirov jumped bail while facing possession of marijuana charges in Bangkok. 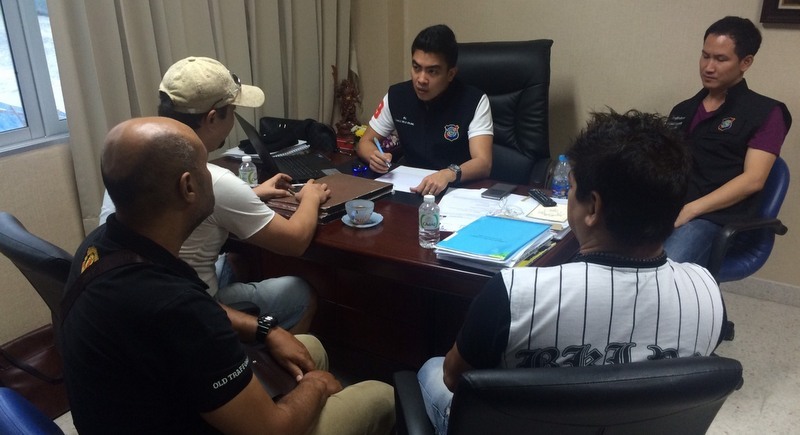 “Phuket Tourist Police arrested Bakhodirov, 39, at a location along Yaowarat Rd in Phuket Town at about 6pm yesterday (Oct 11),” Lt Nuruwat told The Phuket News. “Police will send him back to Bangkok to face his charges there,” he said. The August 2015 bombing left 20 dead and at least 125 injured at Ratchawong Intersection in the heart of Bangkok in an unprecedented attack. Two suspects accused of the carrying out the bombing were arrested by police in the days after the bombing and held in military custody. Both deny the charges. More than a dozen ethnic Chinese tourists were among the dead when explosives in an abandoned backpack detonated in the Hindu shrine popular with tourists on Aug 17 last year. The explosion came weeks after the military government forcibly repatriated 109 Uighurs to China, where rights activists says the Turkic-speaking Muslim minority face cultural and religious repression.